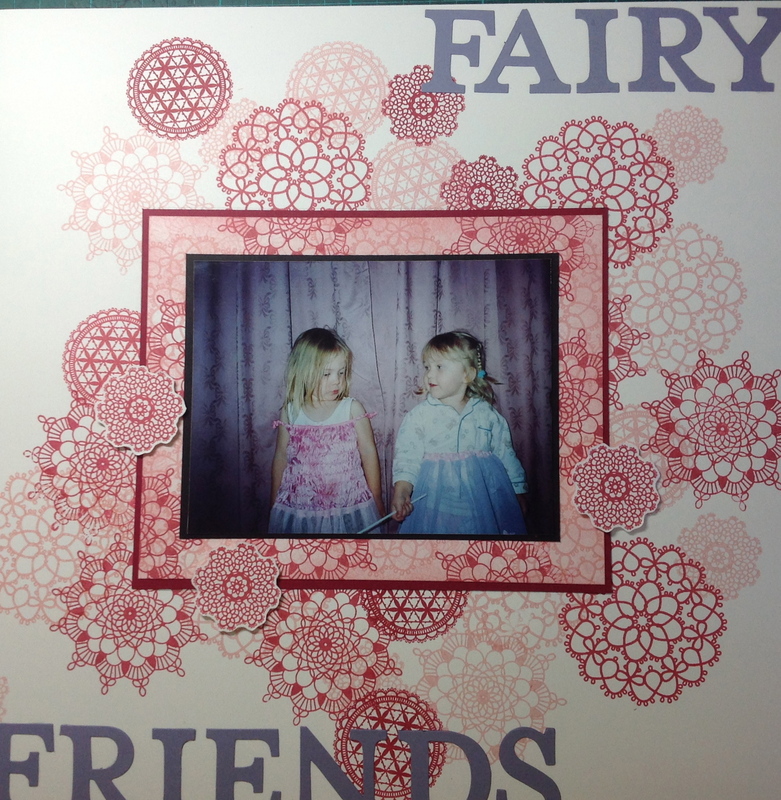 I uncovered this photo of my precious grand daughter and her wee friend which was taken about 12 1/2 years ago!!!! They were obviously playing dress ups with their cute little tutus and fairy wands. I love stamping my own backgrounds and must remind myself to do it more, because I love how this turned out. The stamp set that I’ve used is Daydream Medallions, and I’ve just stamped it off in Blushing Bride, Strawberry Slush and Raspberry Ripple. The matt around the photo is also stamped using the same stamp set and inks but then sponged fairly heavily with the Blushing Bride Ink. The heading is done in Wisteria Wonder, just to tie in the pinks and mauves of the photograph. I hope your New Year has had a great start. Mine has and I’m going to take such better care of me this year.